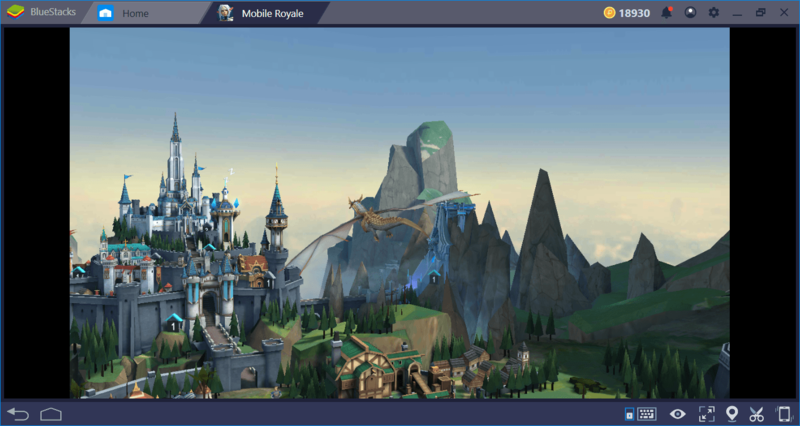 If you’ve played Lords Mobile before and liked it, we’ve got good news: I Got Games (IGG) offers much more with Mobile Royale, their latest offering. Many players see this game as Lords Mobile 2.0 and they are right, to an extent. 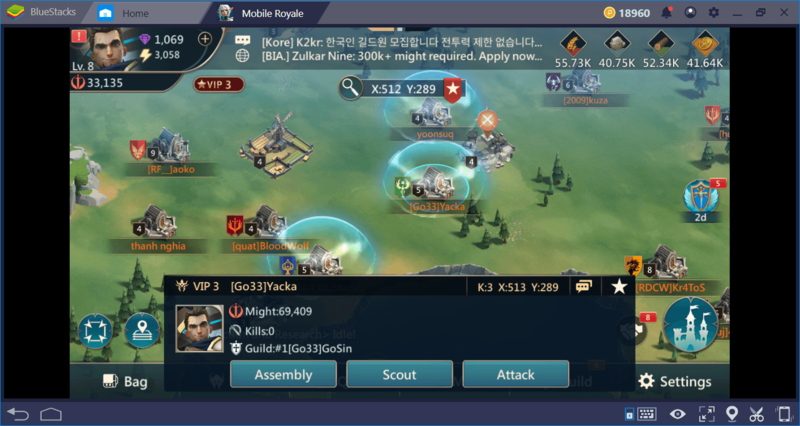 However, Mobile Royale has many unique features and is able to stand out from other conquest games. 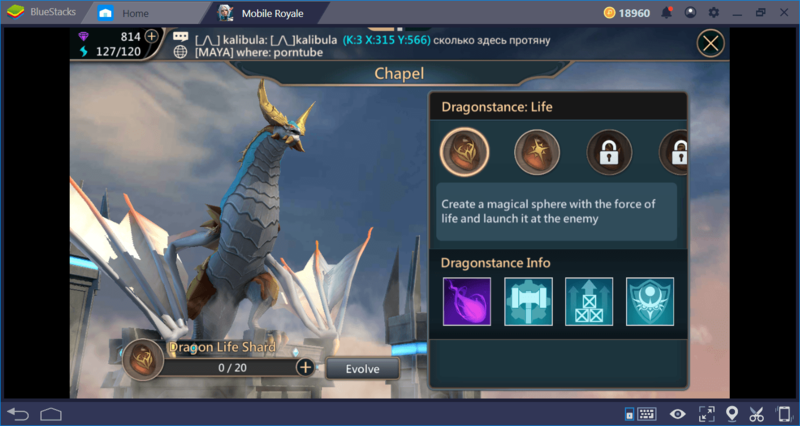 In this review and beginner’s guide, we’ll take a close look at the Mobile Royale game and let you quickly start your adventure in this world. 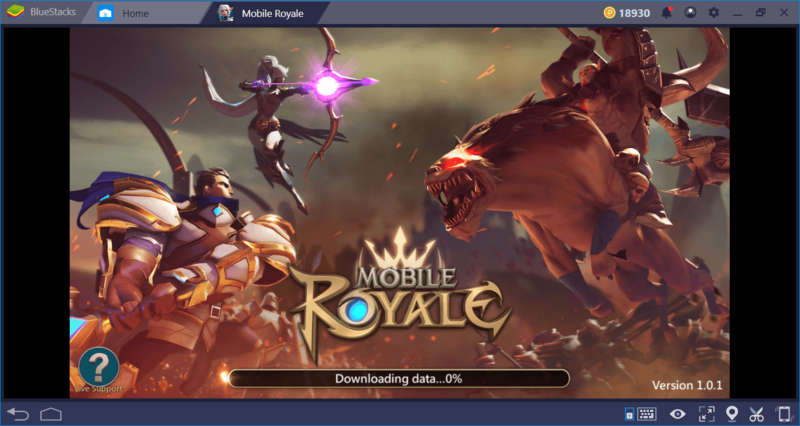 What Kind Of Game Is Mobile Royale? We didn’t share this image just to show the visual quality: The dragon here joins your kingdom a few minutes after you start the game. So, you don’t need to wait for days like in similar games: You can start using your dragon immediately. This creature allows you to get various bonuses in both city management and battles. As a lord, your first task is to grow your kingdom as much as possible. To do this, you must construct many buildings and upgrade each. 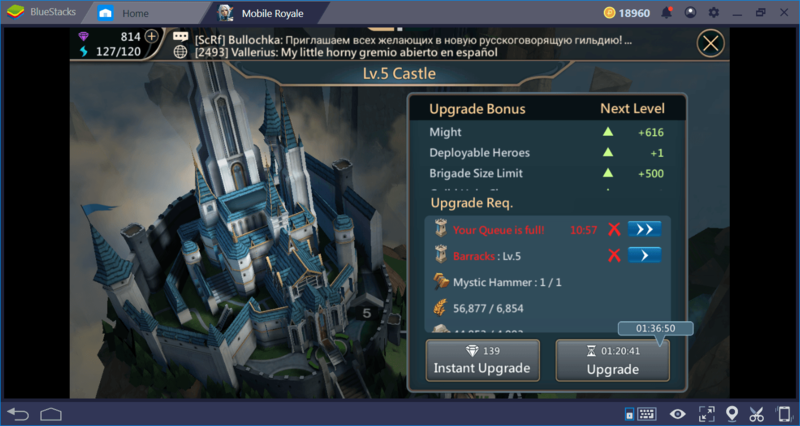 We will give you more details on this in our Buildings guide, but for the time being, let’s say that every building can be upgraded to level 25 and level increases also increase the benefits you get from these buildings. All of the buildings are connected to each other, so to upgrade one, you must first upgrade the buildings as defined under prerequisites. You cannot do multiple constructions at the same time – other than “purchasing time” with gems, all you can do is wait. Some constructions can run for hours, but you can use a variety of buffs to speed them up. You can also request assistance from members if you join a guild. You’ll also have to do research in your kingdom: Any research you’ve completed allows you to get a bonus for city management, resource production, and battles. Research trees are highly detailed and have a rich selection of options that will keep you busy for days. 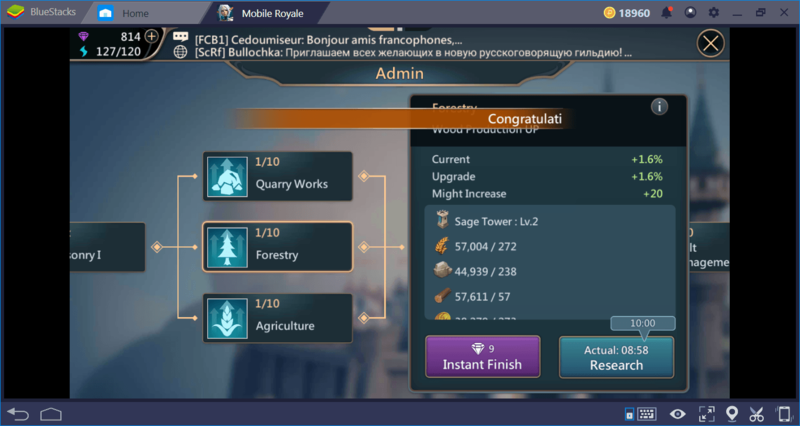 One of the important differences between Mobile Royale and Lords Mobile is the number and types of buildings. For example, you can now trade between “clans” and demand resources with an airship. 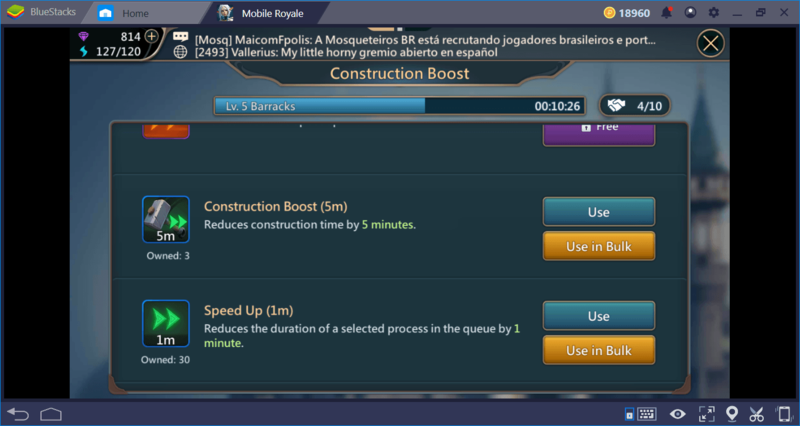 In addition, we can say that the production buildings in Mobile Royale are much less in number. 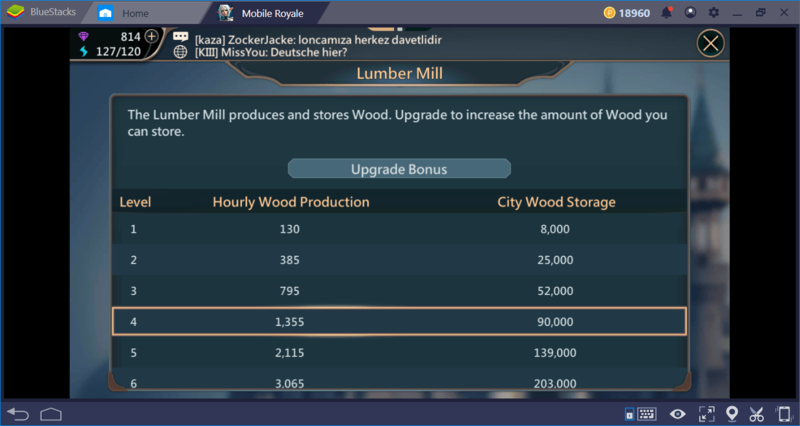 So, you don’t have to build dozens of farms and lumber mills as in Lords Mobile: Resource production and management are made much simpler. The area you can use for construction is quite limited and only a couple of buildings can fit in it. 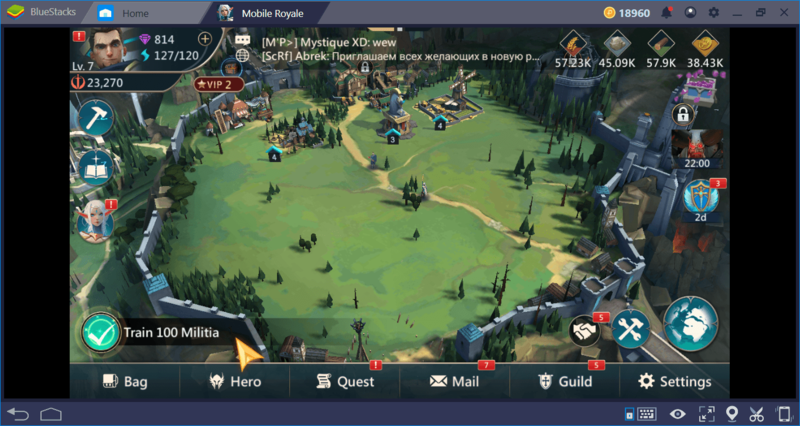 This means that there will be many battles over the resource fields on the world map – compared to Lords Mobile, you will be more “involved” with other players. You can construct your buildings in this area. 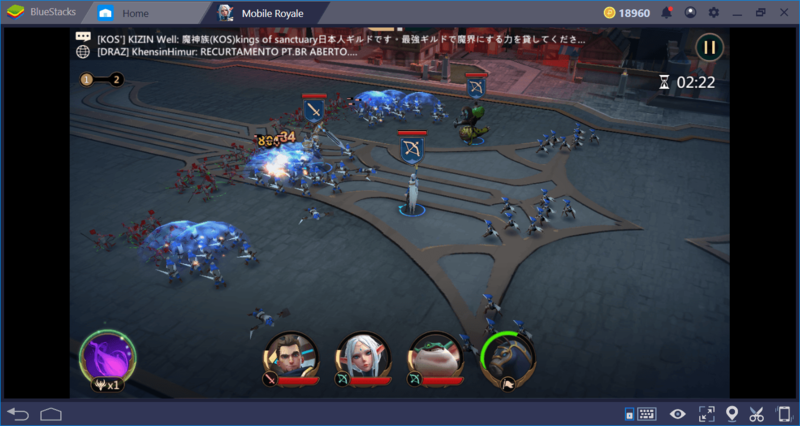 In Mobile Royale, you have to fight both computer-controlled enemies and other players. In other words, you will perform both PVE and PVP missions. The campaign missions of the game consist of quite large PVE battles. 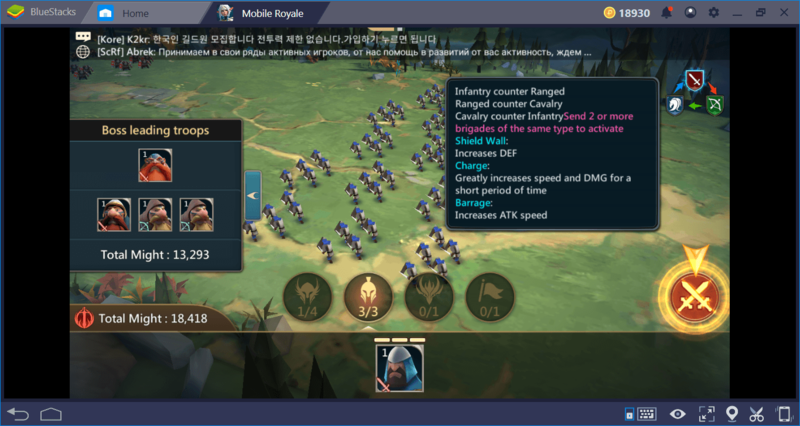 It is possible to say that the troop formation is more important than in Lords Mobile. Completing Campaign missions allows you to unlock some buildings and get various prizes. The advantages of the units against each other are like a rock-paper-scissors game. In our guide on Battle Mechanics, we will give more information about this. You can take more than one commander to the battlefield and each one has a different ability. You can also call your dragon and other clans to help you. Campaign missions are not yours only opportunity to fight: You can also attack monsters that roam freely on the world map. The name of this feature is “Monster Hunt” and so far it has been used in many conquest games. Mobile Royale is no different in this regard. You choose the monster, attack it, automatically complete the battle, and collect the rewards. We’re attacking a monster on the world map. This journey takes place in real time, so it can take minutes to reach a monster that is far away. We can say that rewards are more satisfactory than similar games. Of course, like all other conquest games, you can also attack other kingdoms. Open the world map, select a kingdom, and attack – but note the “might” points: If you attack a kingdom that is stronger than you, you will only lose your troops. Therefore, it may be a good idea to scout before attacking. Here is a hint: If there is a transparent bubble around a kingdom, this means it is protected from attacks. You can only attack cities that don’t have such a bubble. 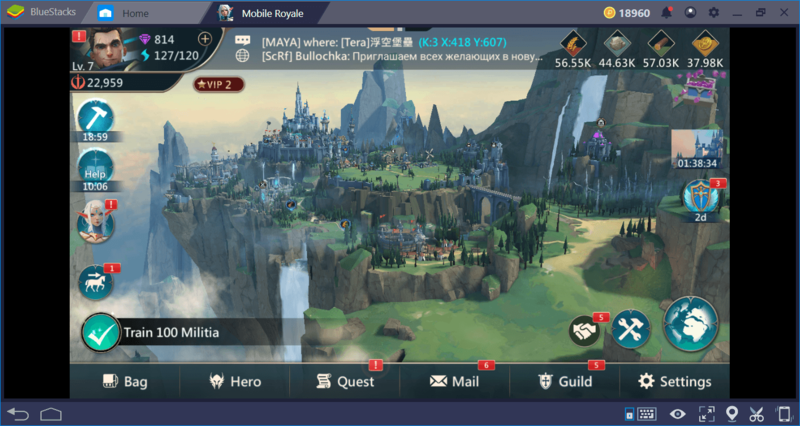 Mobile Royale has everything you would expect from a conquest game, and it is indeed Lords Mobile 2.0. The game uses the existing conquest mechanics in a very refined way and adds new features such as diplomacy and clan trade. 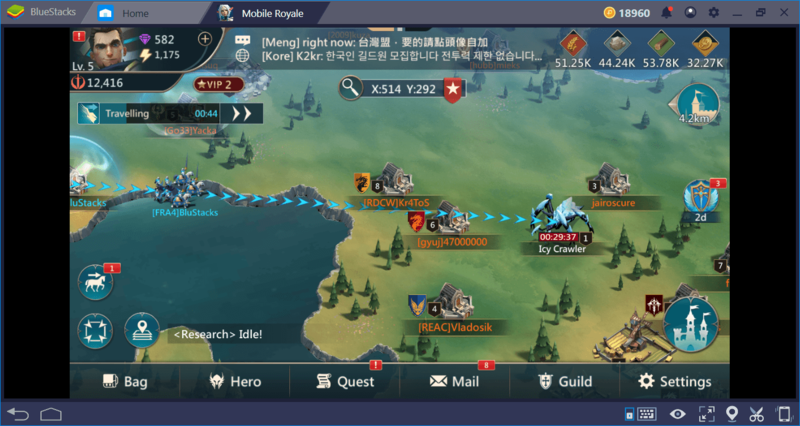 In this context, it is possible to say that Mobile Royale is one step closer to the famous Civilization series: By simplifying resource management and limiting the number of resource buildings, Mobile Royale forces the players to fight on the world map. In other words, it is more important to have knowledge about battle mechanics now. For this reason, we recommend that you read all of our other Mobile Royale guides too. We like what we’ve seen so far and we can easily say that Mobile Royale is one of the most advanced conquest games around. 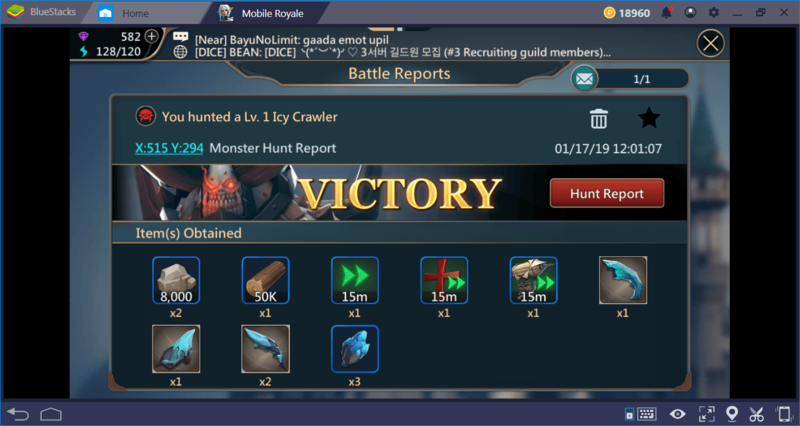 We are planning to spend weeks in this game – join us on BlueStacks!